The Agency has been considering revisions to the 510(k) process for almost a decade. 510(k) submissions are required for medical devices marketed in the United States to demonstrate that they are safe and effective or “substantially equivalent” to a predicate device (one that has been cleared by the FDA or marketed before 1976). Hearing aids, bone-conduction devices, and hearing-related implants qualify as Class I, II, and III medical devices, but were not specifically mentioned in the FDA’s press statement. The announcement follows a well-publicized report detailing thousands of injuries from medical devices, including surgical mesh, hip protheses, spinal stimulators, insulin pumps, and defibrillators. The report came from the International Consortium of Investigative Journalists and more than 50 other media partners around the world which collected and analyzed millions of medical records, recall notices, and other product safety warnings, in addition to interviewing doctors, patients, researchers, and company whistleblowers. In its press statement, FDA points out that it regulates more than 190,000 distinct devices. The FDA’s Center for Devices and Radiological Health (CDRH) uses a risk-based paradigm to promote safety and effectiveness, and is now striving for a more modern process that allows the FDA to more readily incorporate new technologies that improve the safety and performance of medical devices into new predicates to serve as benchmarks for future clearances. These include the use of real-world evidence in regulatory decision-making, the De-Novo pathway for low to moderate risk novel devices, and to chart a premarket review path for breakthrough products. With the 510(k) revisions, FDA believes that newer devices should be compared to the benefits and risks of more modern technology and more recent predicates. To advance these goals, in the next few months CDRH is considering making public on its website those cleared devices that demonstrated substantial equivalence to older predicate devices, and considering focusing on predicates more than 10 years old as a starting point, so that the public is aware of those technologies. FDA reports its goal in focusing on older predicates is to drive sponsors to continually offer patients devices with the latest improvements and advances. It also cited the increasing complexity of the devices reviewed under through the 510(k) program. Medical devices are increasingly interconnected and interoperable, increasing cybersecurity threats, miniaturization of components allows for greater portability, and the devices frequently use automation, robotics, and advanced materials, changing the way healthcare providers and patients interact with them. Additionally, FDA is posting a performance report that highlights some of the key achievements of the past decade, including the measures taken to increase the predictability and transparency of the 510(k) review process. These efforts include the more than 50 final guidance documents on important medical device policy issues issued since 2009. Bob Schulein is one of those rare individuals who has the ability to see the correct answer because it “just feels right”; and then he does the calculations to demonstrate this for the rest of use mere mortals. 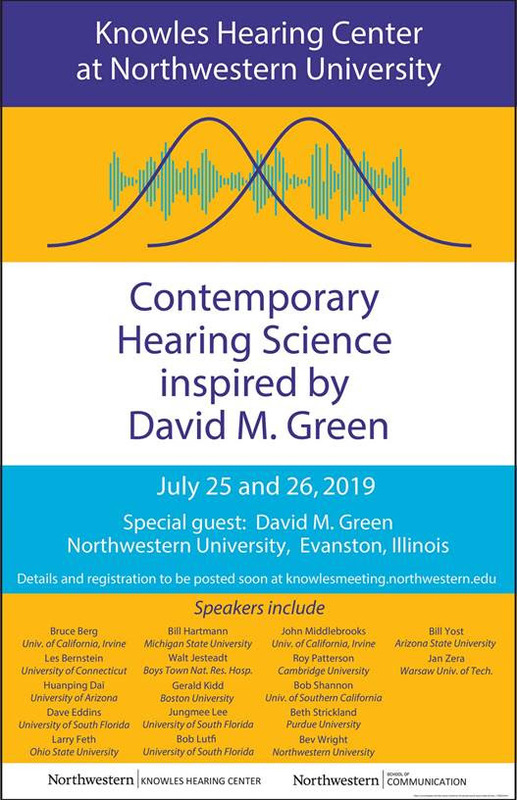 I was lucky enough to spend some time with Bob last summer in Chicago at the International Conference on Music-Induced Hearing Disorders, which he and Michael Santucci coordinated. He will be missed. SCHAUMBURG, ILLINOIS (JANUARY 1, 2019): Renowned audio engineer Robert Schulein, beloved son of the late Arthur and Jeanette Schulein, peacefully died in his home on New Years’ Day 2019 after a valiant, seven-year battle with cancer. The Fellow and Past-President of the International Audio Engineering Society and prolific inventor, with a wealth of patents to his credit in the fields of acoustics and electroacoustics, is survived by his wife, Joyce, and two daughters, Heather Davis (Rick) and Jennifer Yoder (Mark) and their son, Max Yoder, brother Thomas Schulein (Vivian), nephews Michael and Robert (Kate) and their daughters Harriett and Eloise. He was 76. Born in 1942, Schulein was raised in Rockford, Illinois and showed early on a knack for technical tinkering. He went on to receive BSEE and MSEE degrees from the University of Wisconsin, Madison, where he did research on piezoresistive semiconductor transducers. It was right out of college in 1966 when Schulein landed what would become a thirty-year career at Shure Brothers Inc. in Evanston, Illinois. Achieving the title Staff VP & Director of Business Communications & Industrial Products, his responsibilities included research & development of microphones for automotive cellular telephone systems, R&D of microphones for land, mobile and related communication systems, as well as R&D of microphone systems for speech recognition applications. In 1977 he was elected to Fellowship in the Audio Engineering Society and that same year also won the Audio Engineering Society Publications Award. In 1990 Schulein was awarded the Audio Engineering Society Board of Governors Award. His earlier work at Shure was in the area of condenser-microphone research, development and design. He led the group effort to introduce Shure's first professional condenser microphone, the SM-81. While at Shure, Schulein managed the Home Theater Sound (HTS) division, which pioneered the development of the first enhanced matrix decoders emulating the professional Dolby products in theaters. This work led to the development of a complete line of processors, power amplifiers, and loudspeakers for high-end home theater systems, predating the introduction of THX performance concepts. The HTS division also developed and pioneered the use of enhanced matrix encoders and decoders for professional applications. He also introduced matrix surround-sound encoding to baseball television broadcasting, episodic television, Saturday Night Live, The Grammy Awards, and Super Bowl XXIV in 1990. After his time at Shure, Schulein held positions at Etymotic Research, Inc. (now Lucid Audio), in design, research and development. During this period, his focus was in areas of consumer electronics, professional audio, telecommunications systems, audiology, and hearing-aid component development. At the time of his death he was owner of RBS Consultants, an international consulting firm, which provided consulting services in areas of acoustics, product research, product design and development, project management, and audio/video recording engineering and production. His areas of specialization included professional and consumer audio products and applications, telecommunications and the hearing-health industry. Schulein took great pride in staying active in a number of professional organizations within the audio and hearing industries. 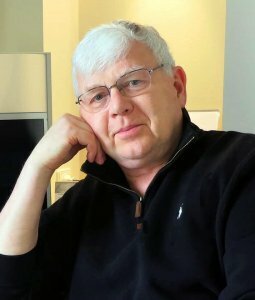 He was a Fellow and Past President of the International Audio Engineering Society, where he received the Publications Award in 1977, the Board of Governors Award in 1990 and the Bronze Medal in 2013. 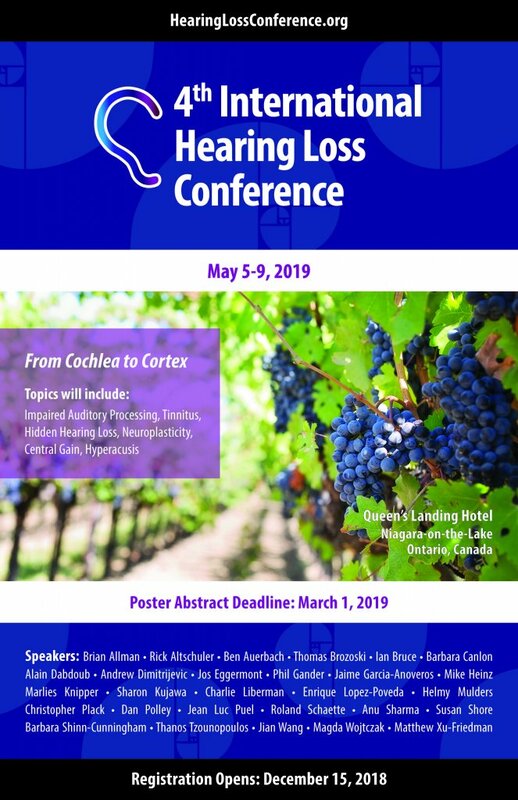 At the time of his death he was serving as a Vice-Chair of the AES Technical Council, and as Chair of the AES Technical Committee on Hearing and Hearing Loss Prevention. He was proud of his implementation of the Richard C. Heyser Memorial Lecture series, which was established in 1999 and remains active to this day. 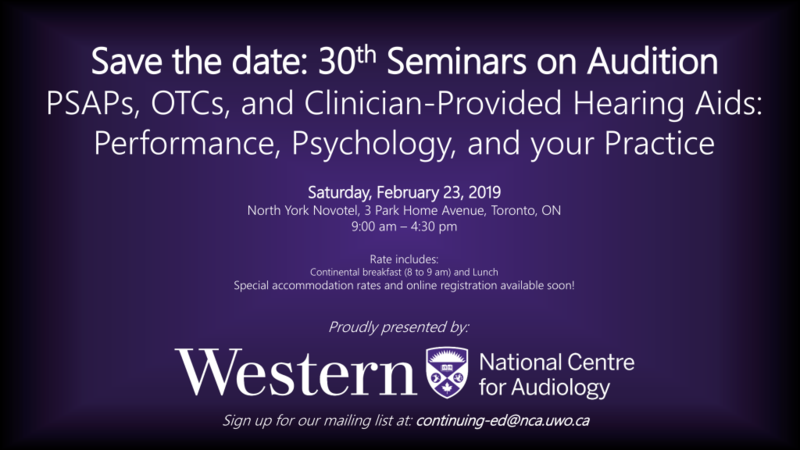 He was a member the American Auditory Society, as well as the American National Standards Institute working group on hearing-aid measurements. Schulein's lifelong interest and successful track record solving difficult engineering problems led to his personal and professional development of, among other inventions, miniature directional microphones for hearing aids, acoustically transparent non-porous wax barrier for the hearing aid industry, plus an advanced professional in-ear monitoring system used by a list of today’s top performers. Many may also have been aware of his passion project, ImmersAV Technology – a patent pending audio technology and high-definition video process to create “you-are-there” musical experiences. He finally was able to achieve his dream of becoming a music producer, having the opportunity to work on recording projects with many talented musicians of Chicago. Robert was a loving son, husband, father, brother, uncle and grandfather. He was very proud of his girl’s accomplishments and he enjoyed being a mentor and teacher to his grandson, Max, to his two nephews, Robert and Michael, and to many others. Never taking a day off from his engineering efforts, Schulein worked up until his decision to enter hospice care at his home. He passed away peacefully on New Year’s Day.